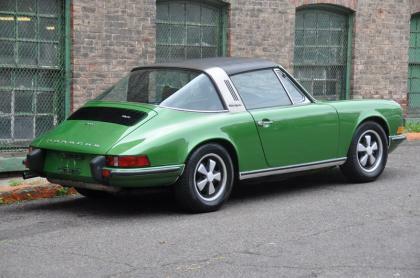 We know this is indeed a true 66K mile example of a two owner Targa that has only ever had one light respray in its original color, general service completed over the years, a new targa top added, A/C compressor removed (but still present with the car), and an in period steering wheel and radio added (originals are still with the car), that’s it. It is very honest in its presentation and has never been molested or altered beyond these known facts and certainly has never been rusty or hit. 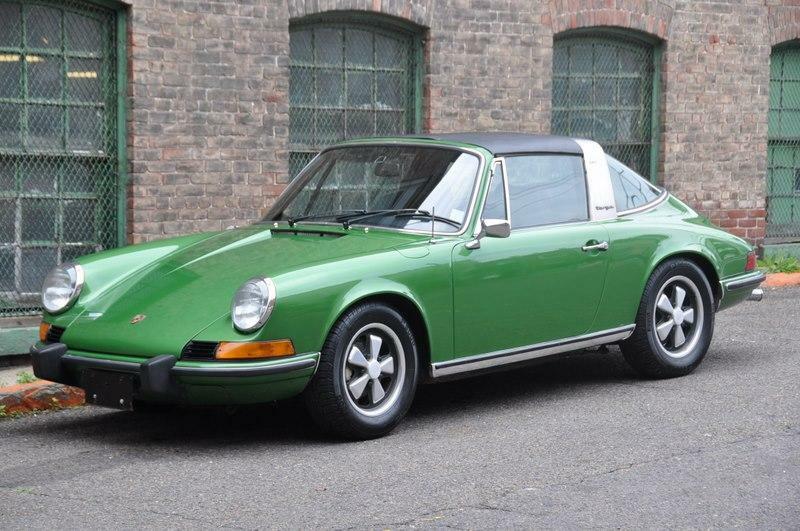 Otherwise this is a very good, solid, and honest 911 that is representative of a highly original example with limited ownership and will easily be a prized possession for anyone who understand what a good car really is. 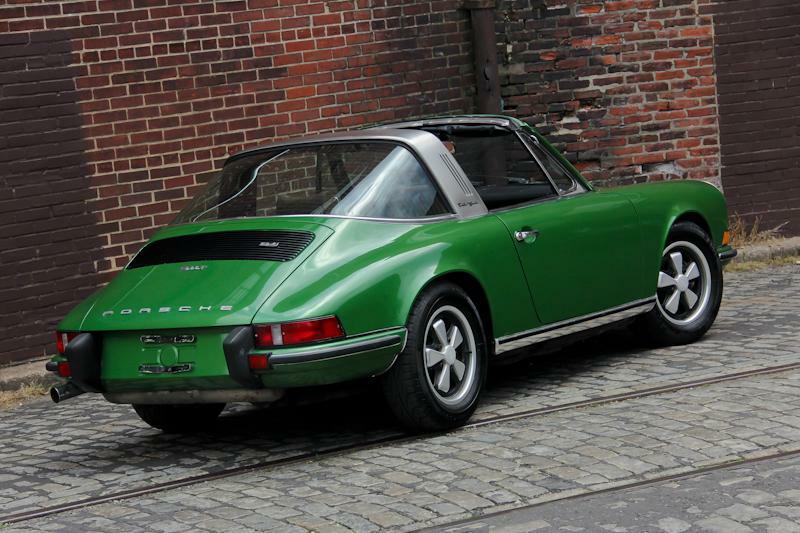 The cosmetic condition of this Targa is that of an excellent original driver, it is not concours perfect; rather it is a respectable and consistent original with a well done in period respray. It has a consistent luster throughout and presents nicely overall and can easily be enjoyed in its current state. The chrome is not perfect but is original with some patina and blemishes, all of which are consistent throughout and again could be enjoyed as is in its shiny but not quite perfect original state. The rubber components overall are excellent and are still very usable, all of the seals, grommets and bumpers are in good condition overall with minimal dryness or wear. The glass is absolutely original throughout with no notable blemishes. 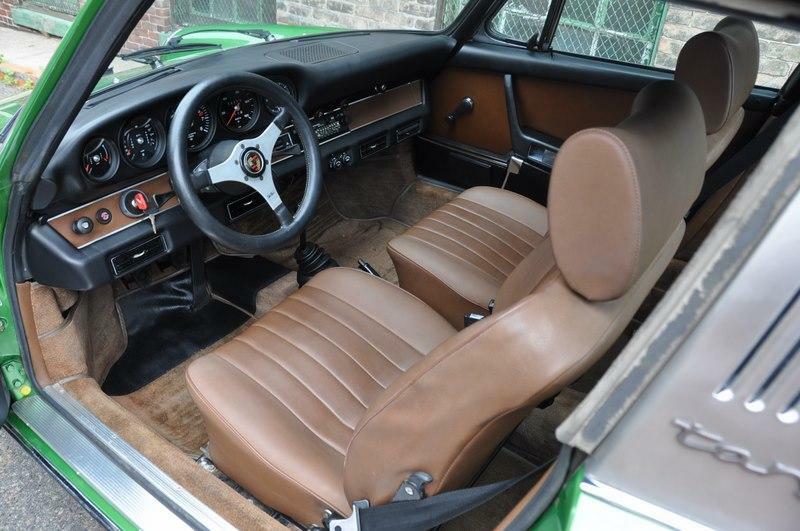 Upon entering the interior one notices a surprisingly nice original driver’s seat for 61K miles, this is thanks to the sheepskin cover that was installed on day one, it has since preserved it and thus we have an excellent bolster all things considered. 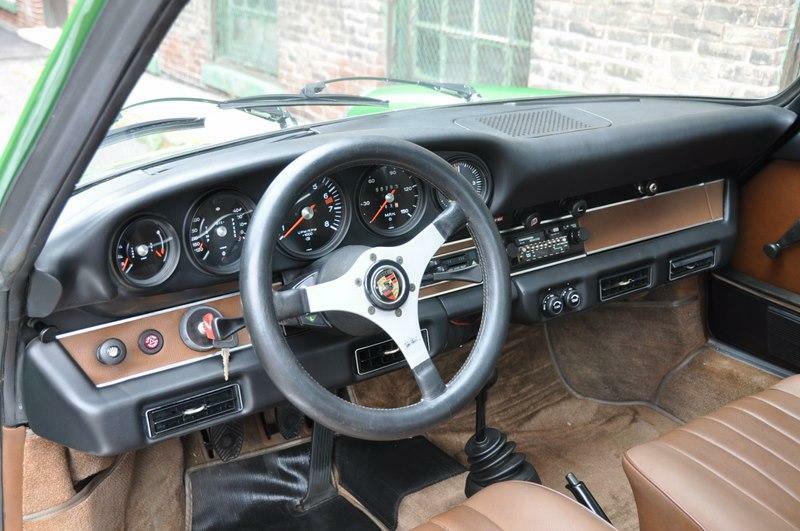 Otherwise the interior is 100% original and absolutely impressive with light patina and one fantastic representation of a proper and original Porsche interior. The dash top is near flawless as is the dash face. 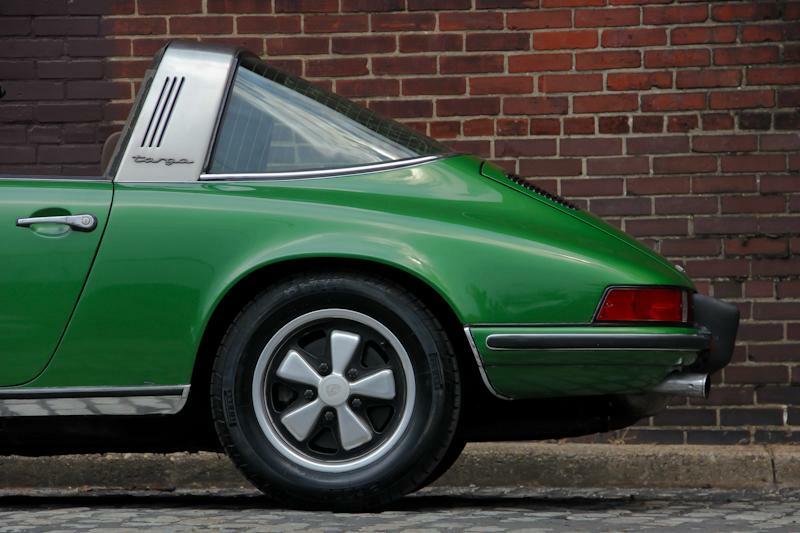 The carpets show light patina as do the rear seat tops when folded down. The period steering wheel and radio are about the only complaints, but they go well with the car and the originals are present if the next custodian decides they need to switch them out. The Front trunk is another place of preservation, much like that of the door jams there is original paint in the front trunk and front trunk jam as well. Close inspection shows again that the car has never been hit or rusty and is indeed original. Upon removing the factory material to review the body structure, we notice original paint and finishes throughout the inside of the front trunk with no rust issues present in the battery box’s. All of the wiring is untouched and factory markings are still in place from final assembly. 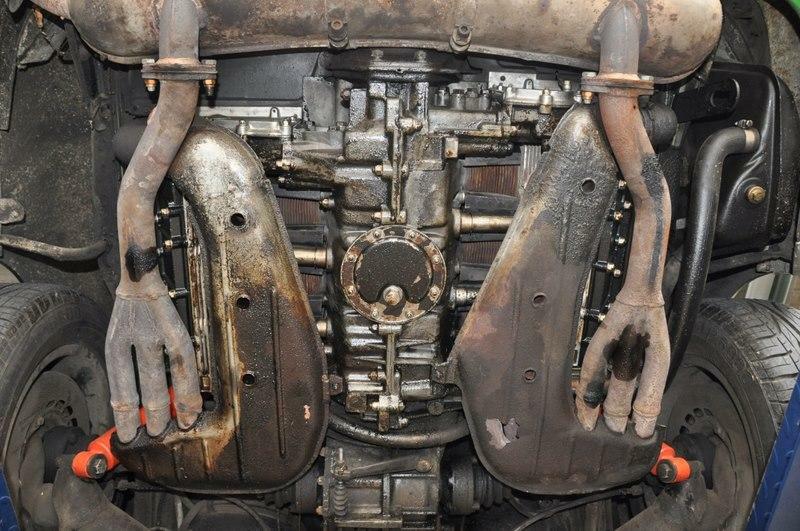 All of the spot welds, seams, and metal throughout is excellent; Consistent with the rest of the car in every way, and indeed original. 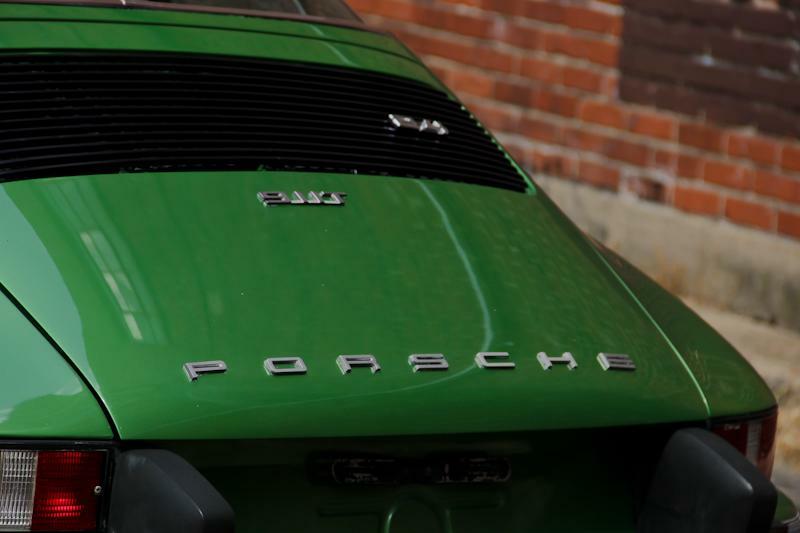 As with all early 911’s and many other cars from the era, rust is a serious factor in pursuing a good car. 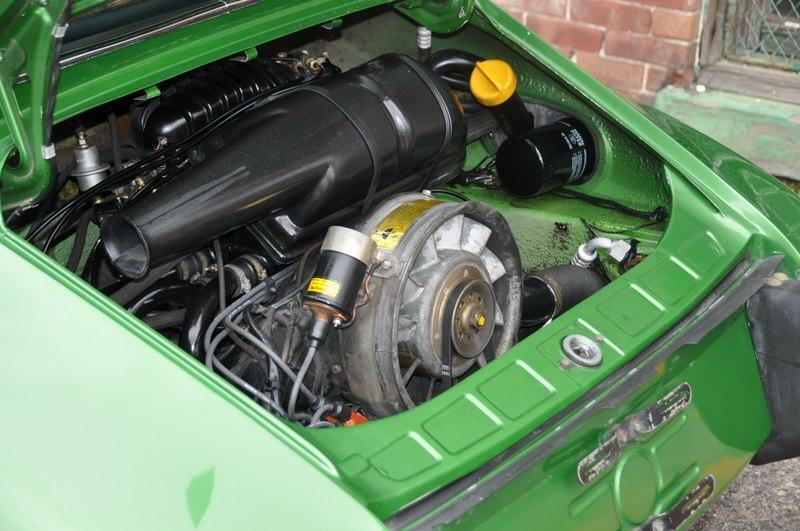 After inspecting the underside of this 911 we notice a few leaky areas from the engine/trans (as is common with these cars) but absolutely no rust whatsoever and undoubtedly the original pans, sills, rockers, and all related components. Dealer/factory undercoating is still present and the Z-Bar product installed on the car when new most likely saved and preserved it over the years as well. All of the valences and wheel wells are thin as they should be. Rust has never been and will not be an issue should the next care taker continue the trend of utmost appreciation and care for this excellent 911.